After spending all my time finishing the newest chapter of Fisheye Placebo, as well as continued work on Knite (which I decided not to released until a few more chapters are finished for a smoother reading experience), I was super pent up with original painting ideas. Working on comics is great, but I also want to draw other things as well, so I made some new original illustrations and they turned out to be water themed lol. Looking back I realized how into water and fish I am. They're just so peaceful and calming, it feels like going home. The image below features Fantine and Lala again from my future children's storybook, Dream Without Dream. And of course I'm a huge fan of all BBC nature documentaries like the Blue Planet. 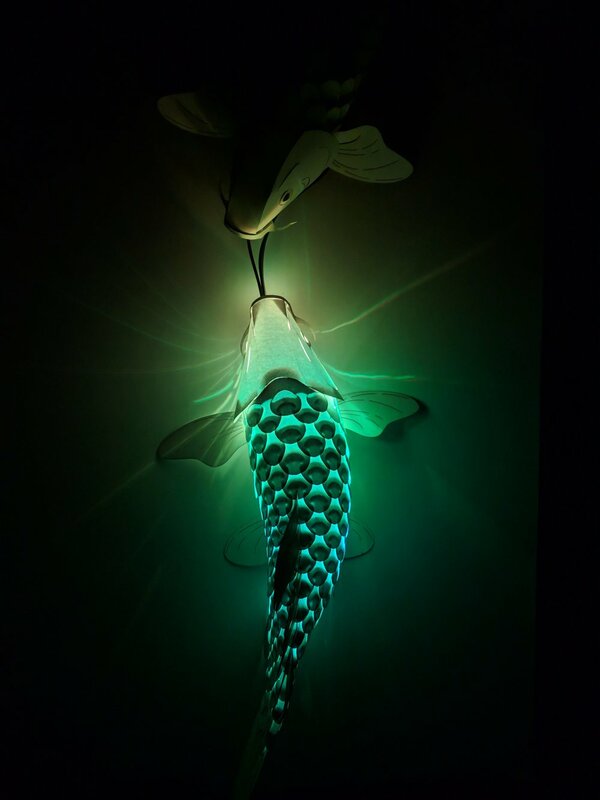 This one below is inspired by the beautiful footage of ocean life. 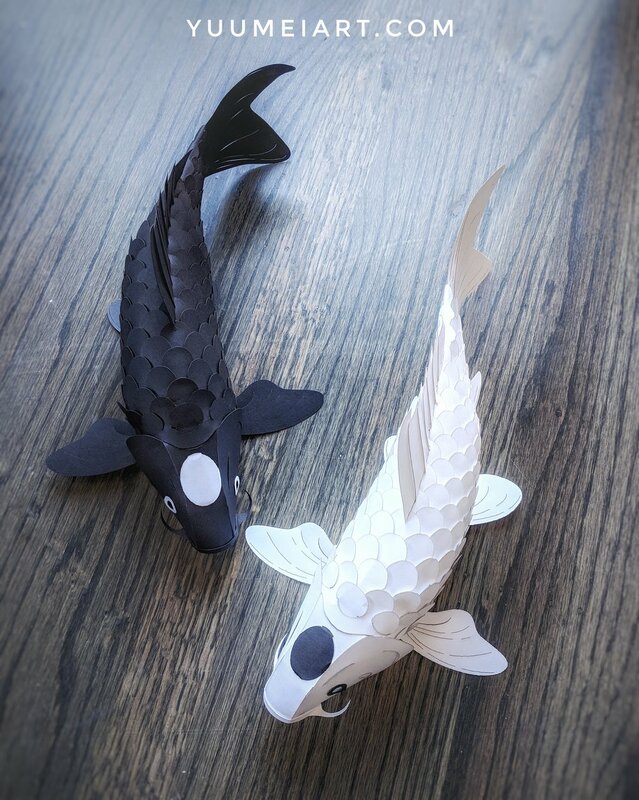 And lastly an update on the paper koi lanterns that I've been designing. In the video I'm showing how posable the design is. I realized I've only talked about it being posable, but never showed it, so here it is :D It's quite sturdy too so no need to be gently when posing. The DIY kits will be available after I've done more research into different materials (this video features black metallic paper for that extra scale-like shine). It's my first time producing this type of product so I have a lot to learn to do it right.